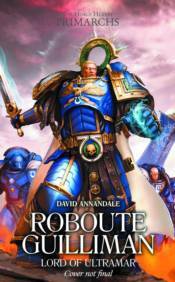 Launch title in The Horus Heresy: Primarchs series, a brand new sequence of novels. Long before the coming of the Imperium, the realm of Ultramar was ruled by Roboute Guilliman, the last Battle King of Macragge. Even after learning of his true heritage as a primarch son of the Emperor of Mankind, he strove to expand his domain as efficiently and benevolently as possible, with the XIII Legion Ultramarines as his alone to command. Now, facing a rival empire on the ork-held world of Thoas, Guilliman must choose his weapons carefully, otherwise his dream of a brighter future could be lost forever.